Ginmas comes just once a year! Unless you’re a Craft Gin Club member and receive your Gin of the Month box every month! We always like to give you something a little special at Christmas and this year is no exception! Made exclusively for Craft Gin Club, Tarquin’s Cornish Christmas Gin is the perfect Christmas spirit to sip on! Discover the story behind this stunning seasonal gin, plus don’t miss the unboxing video with Jon, John and Tarquin - the ginny mastermind himself! As outside the wind whips up the sea and the grey sky stretches across the Atlantic, snuggle up with friends and family before the fire, and enjoy the taste of a cosy Christmas in Cornwall with your Craft Gin Club exclusive Tarquin’s Cornish Christmas Gin. Perched high above the ocean, in the wilds of Cornwall, a cowshed clings to the cliffs. The roof is tin; the walls and floor are concrete. Way up there, the winter wind whips through the fragile structure. The temperature is arctic – hats and gloves are very necessary. But the pain is worth it, especially when you can get close enough to one of the beautiful copper stills to feel the heat from the open flames burning at their bases. This disused cowshed is, in fact, Southwestern Distillery, where Tarquin’s Cornish Christmas Gin was distilled using ancient methods that, for many craft distillers, have long since fallen by the wayside. Handcrafted like the best Christmas decorations, beautifully wrapped in frosted glass and hand-dipped in wax of gold, the real gift here is the liquid inside. Life for Tarquin Leadbetter wasn’t always punctuated by sweeping views of the ocean and copper stills bubbling away. At 23, he had trained as a chef at Le Cordon Bleu, but the view from his grey office in the City of London was very gloomy, indeed. From behind his desk, Tarquin started dreaming up all the ways he could make a career of flavour combinations. Visions of restaurants and bars danced through his head, but it was hard to see how he could get such a complex proposition off the ground. Then it struck him: gin. With the help of his sister Athene, Tarquin – just 24 years old at the time – packed up his London flat and moved home to Cornwall. He found a little cowshed on the cliffs and got to work, teaching himself how to distil. Tarquin worked on Tamara, a second-hand copper still who made the journey from Portugal to Cornwall. In a former life, she had been used to distil fruit brandy. Tarquin popped his new pot still directly onto a naked flame – in this case, a paella ring burner – and sealed her joints with bread dough. It’s an ancient way of working at the still, and connected Tarquin deeply to the prospect of producing the first Cornish gin in 200 years. His passion was certainly a positive – it wasn’t long before things got tough. Tarquin pulled together botanicals from all around the world, aiming to create a truly Cornish gin. Finally, he hit on the perfect blend: green cardamom, bitter almond, grapefruit zest, lemon zest and violet blended with classic gin botanicals. 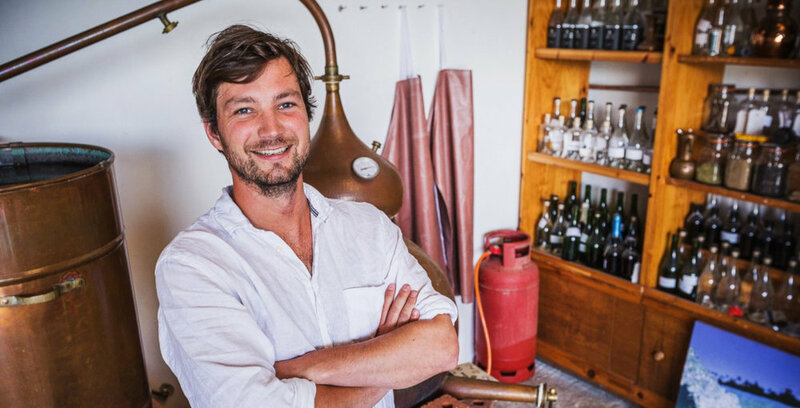 Tarquin’s Cornish Dry Gin was born. To say that it was a sensation would be an understatement. When Tarquin’s original gin hit the market, he instantly became one of the poster children for the British Gin Boom. It was no surprise – he was the first person to produce a Cornish gin for two centuries, and that gin was sweeping gin awards all over the world. Even as Tarquin’s gin became a global phenomenon, the man himself kept his feet planted firmly on the Cornish soil. With that in mind, Tarquin didn’t stop experimenting even after his signature gin started gathering laurels across the world. On the day he made his first sale, in fact – to a hotel in Devon – he went right back to the distillery and started work on a new spirit. That would be his Cornish Pastis. A clever play on words that connected the Cornish pasty with the traditional French liqueur, this endeavour, too, would go on to win awards – it was named the ‘World’s Best Pastis’ in an international competition. 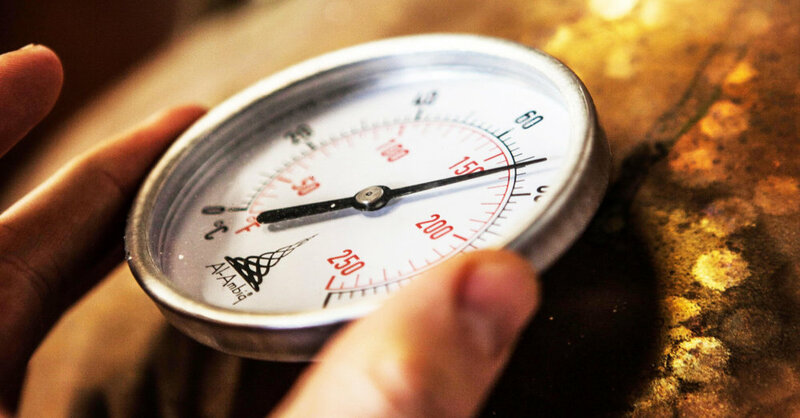 The success that Southwestern Distillery found with their Cornish Pastis was proof-positive that their flavour experiments were destined to pay off. Aside from feeding Tarquin’s deep need to stretch himself and his palate, they were also helping his beloved distillery grow. Since perfecting his Cornish Pastis, Tarquin has continued to branch out. He’s crafted a whole range of spectacular special editions, from Strawberry & Lime Gin to a spirit designed in collaboration with Rick Stein, the quintessential Cornish chef. But no matter how big the team grows, how many special editions they dream up or how many bottles of gin they’re bottling, some things will never change at Southwestern Distillery. Every bottle is hand-sealed with wax and hand-signed. And, even though three stills have now been drafted in to help Tamara with her workload, Tarquin’s original copper still remains heated on an open flame and sealed with dough. “We like to think that every product we produce has that individual, handcrafted feel to it – something a little personal and special,” says Tarquin. Like the most carefully wrapped Christmas present, every bottle of Tarquin’s is perfected from liquid to label before it hits the palate – and that goes double for the wonderfully nostalgic gin in your December Gin of the Month box. When Tarquin was first approached by Jon and John to make a special Christmas surprise for Craft Gin Club members, he knew exactly what kind of spirit he was aiming to create. To make a gin that evoked the warm nostalgia of a Christmas spent in Cornwall, Tarquin and his team started with the botanical blend of their original Cornish Dry Gin. Then, taking inspiration from the ingredients they love cooking with as the festive season approaches, they built a spirit rich with the flavours of this magical time of the year. Tarquin has added the rich warmth of Christmas spices, like cinnamon, clove and allspice. The festive zing of clementine zest lifts the citrus notes, but it’s tonka bean that Tarquin is particularly happy to have added. This exclusive gin is simply beautiful – a perfect Christmas treat, stunning as a gin and tonic but also versatile enough to elevate any Christmas cocktail you fancy. For Tarquin and his team, it’s the Dark, Tarq and Tawney (find the recipe on page 20) that takes the Christmas cake. A special twist on the classic Negroni, it’s a must-serve for the holiday season. Such a special spirit needed a bottle to match. 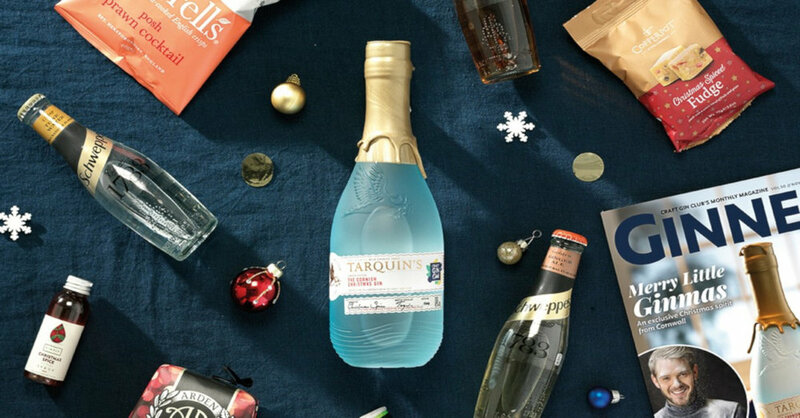 Tarquin and his team don’t disappoint, encasing their Christmas spirit in an icy blue bottle sealed with a generous slick of hand-dipped gold wax. Like everything that happens at Southwestern Distillery, this gin is bottled and finished with incredible care and attention to detail. The bottle you’re unwrapping this month is a true triumph of the festive season – hand-crafted, lovingly finished and just the treat you’ll be craving when it comes time to toast 2018 beside the twinkling Christmas tree. Here at Craft Gin Club HQ, we’ll be lingering long over our Tarquin’s Cornish Christmas G&Ts – but Tarquin himself already has 2019 in his sights. Cheers, Craft Gin Clubbers – to a very merry Christmas and a 2019 filled with more beautiful gins from that cowshed on the Cornish coast.